Since 2014, a key priority for Punjab, Pakistan was improving immunization coverage. For the most part, Punjab had the staff, vaccines and equipment to immunize every child. However, to vaccinate children on time, the government had to ensure that a health worker actually visited every community, every month, to immunize children. It was in this final step that the challenge lay. 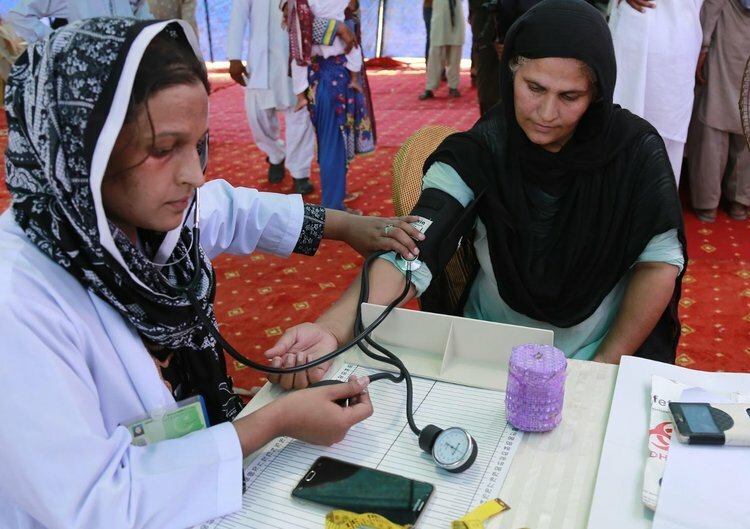 During the second half of 2014, each of the 4,000 health workers responsible for vaccination were given a low-cost smartphone by the Punjab Information Technology Board (PITB) (initially funded by the World Bank). The phones included a mobile application that enabled vaccinators toreport their exact location every time they vaccinated a child. Within months, they were submitting hundreds of thousands of vaccination reports every month. The data from the phones meant the government knew in real time exactly which communities were being visited and which were not. 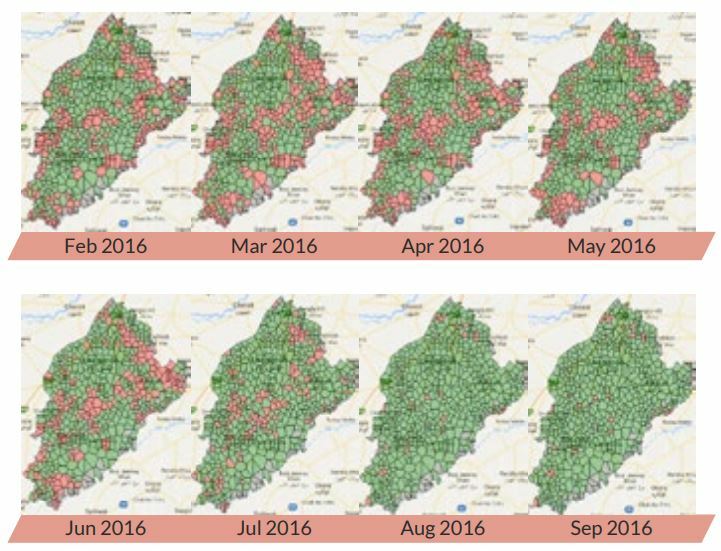 The way in which the data was used evolved over time, but ultimately, the team designed an online map in which 17,700 regions – each representing a small village or cluster of hamlets – were shaded either green or red, depending on whether the community had been visited by a vaccinator that month. The map was based on automatic analysis of recent satellite imagery, ensuring that no community – official or unofficial – was missed. Separate pages showed the performance of individual vaccinators and data on the individual vaccination status of the two million children completing a course of vaccinations at any one time. Monthly performance reports were created for individuals, districts and the province as a whole. The Chief Minister approved the hiring of 550 new vaccinators and supervisors to fill empty posts, including a large number of posts that became vacant after the new system revealed that some vaccinators were not visiting any communities at all. Transport allowances were consistently released every month once it became clear that some vaccinators were not travelling to communities because the allowances that they needed to pay for petrol had not been provided. A new approach to managing special campaigns was developed to ensure that vaccinators could focus on routine immunization. Missed villages were assigned to vaccinators, and the maps allowed district staff to develop more efficient coverage plans. New plans were developed to ensure that communities did not get missed because of holidays or special events. Best practices for managing immunization were created based on investigations of top-performing districts and disseminated across the province. Within two years, immunization coverage improved dramatically. A 2017 survey of 30,000 households found that coverage was 84%, 35 percentage points higher than in December 2014. The results were so strong that the government and donors commissioned four separate independent household surveys to check that the improvement was real, all of which confirmed the same results. Vaccination of children against polio reached an all-time high, thanks to the process of systematically covering every community in the province, rather than undertaking ad hoc campaigns. With the vaccination delivery system performing, Punjab began introducing new vaccines, including rotavirus, a vaccine to address one of the main causes of infant mortality. The higher coverage put Punjab well on the path to transforming health outcomes.